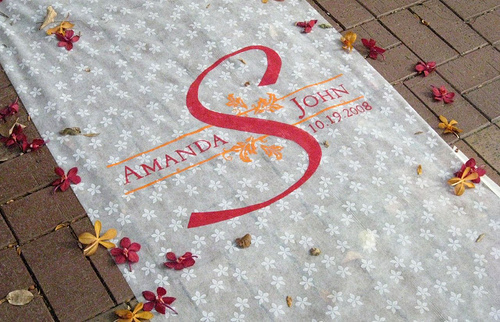 One of my wedding services is designing monogrammed aisle runners for brides. 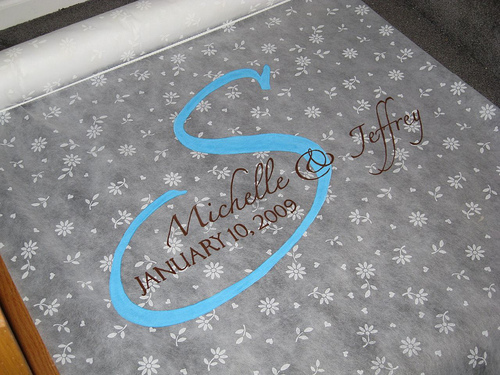 I start by getting the information that the couple wants to be part of the monogram. 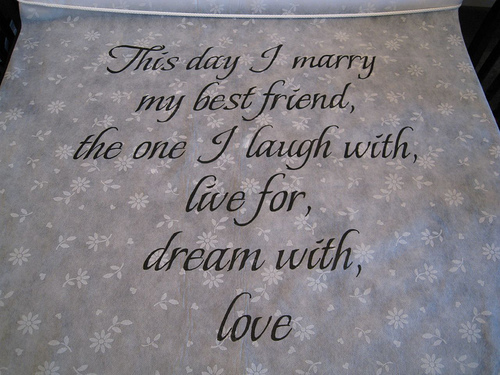 This can include last initial, wedding date, first names, symbols, etc. 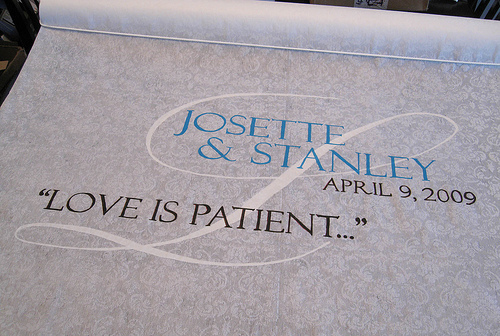 After that, I design 6-10 monogram options and have the couple pick one. Then I am ready to start the printing of it. I size it large in Adobe Illustrator and then piece-print it to scale (I usually end up with 6-10 sheets that I tape together. 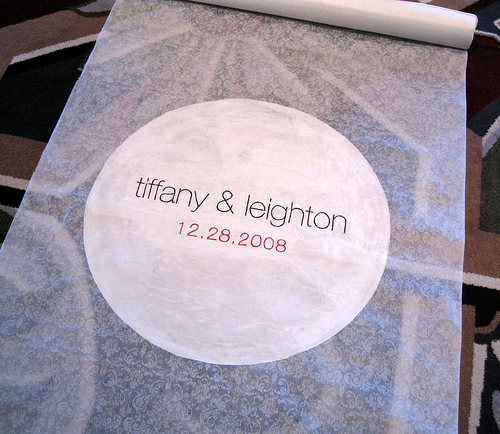 I then place the printed part in the center of my table, attach with masking tape, and cover with wax paper which is also taped down. I begin painting the largest parts first, and then go in with a fine brush or paint marker for the details. I allow it to dry overnight and then roll it back up and set it aside in a plastic bag if its for a local wedding or a large box if it is to be shipped. I just sent one to Brooklyn, NY in fact. 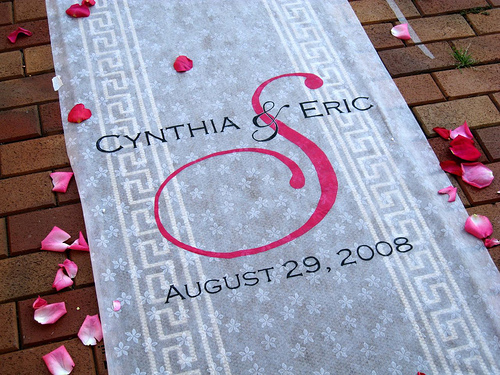 I currently use 2 types of aisle runner; they are both white mirco-fiber with a subtle pattern on them. One has daisies and its softer and the other has damask and feels more like a dryer sheet but still works well. 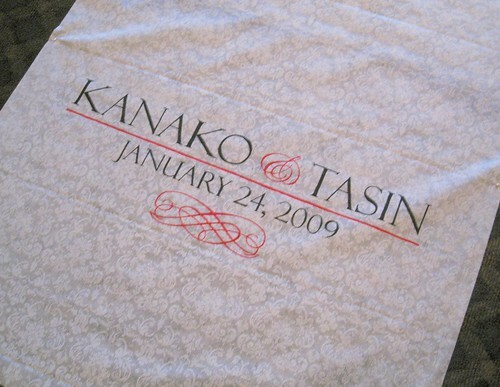 I think the damask looks a little more formal–but they are both nice. I have been doing a lot of these lately and feel like I get better and better with each one I do, and I’ve found ways of improving my painting techniques on them as well. 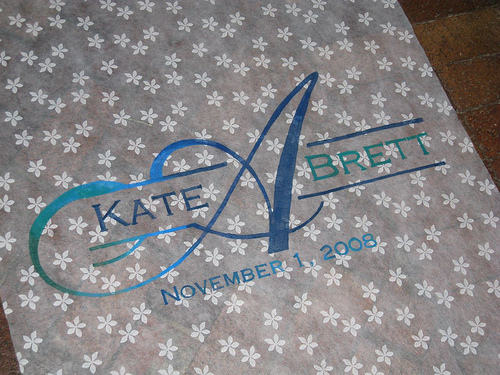 Feel free to contact my if you are interested in having a monogrammed runner designed or if you have more questions about DIY-ing your own!